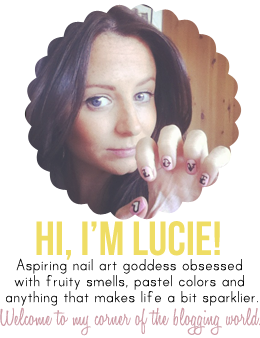 The above nails by the lovely Natalie were inspired by my Zooey Deschanel Spring French manicure copycat design! Nat has beautiful long nails and these are super neat and tidy! Love! I hope everyone else has been trying out some fun nail art and enjoying my designs!! Very pretty, I love your color choices.